It’s now more than 3 years since the devastating earthquakes in Nepal smashed homes, lives and livelihoods. And our funds are drying up. 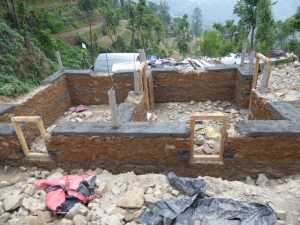 Since 2017 we have helped 58 families to rebuild their homes by providing a financial subsidy via village committees, and training for local construction teams. There are still 25 families to go and recently, TT’s project partner Healthabitat OS has advised it is not a fund raising organisation. Financial help is desperately needed to get these people safely housed. If you or anyone is able to assist, the village families will be truly grateful. Donations in Australia are tax deductible. Rotary Australia Overseas Aid Fund (Managed by RAWCS) is a a Charitable Fund with ATO Deductible Gift Recipient (DGR) status. Donations from individuals or organisations are tax deductible, with each donor receiving a tax receipt.